We know many of you are anxious to hear the update from Tanzania! 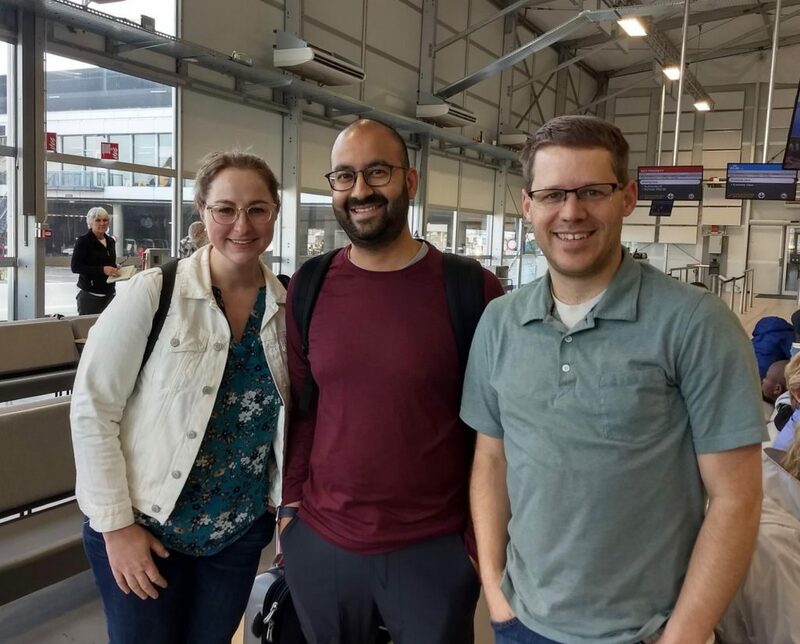 The CSI 2019 Tanzania team has all arrived safely in Arusha after traveling long distances from their homes in Idaho, North Dakota, Pennsylvania, North Carolina, Minnesota and South Carolina! 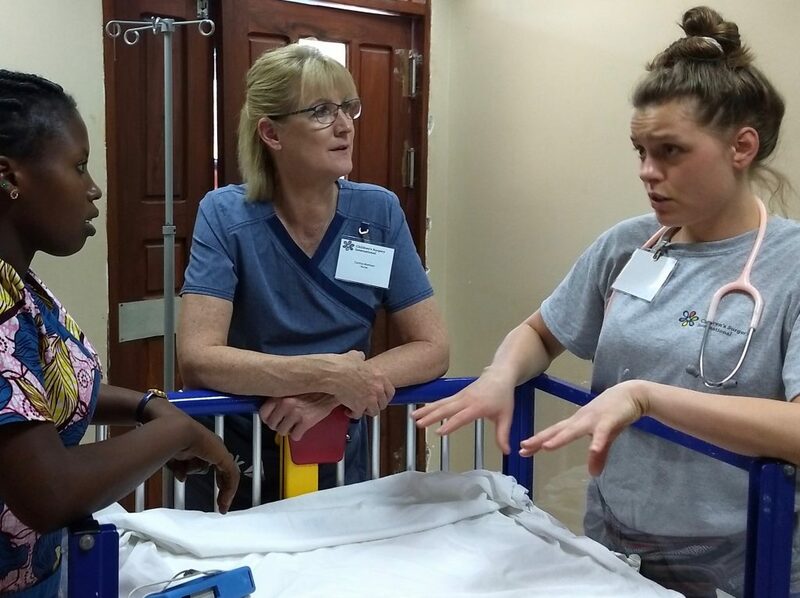 CSI brings teams of skilled pediatric medical, nursing and surgical professionals together from around the United States – and occasionally around the world – to work side-by-side with colleagues in the countries we visit. 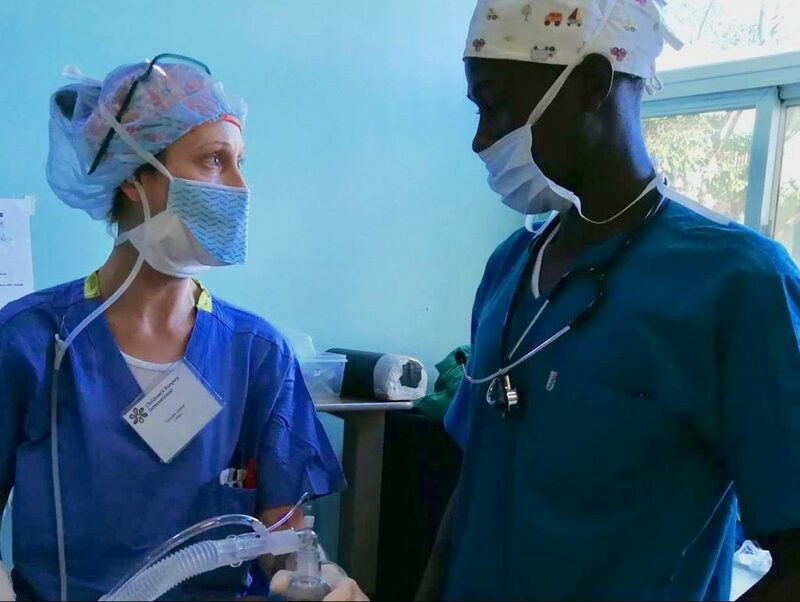 Their goal this week is to teach local surgical teams and nurses while performing life-changing surgeries on children in great need. 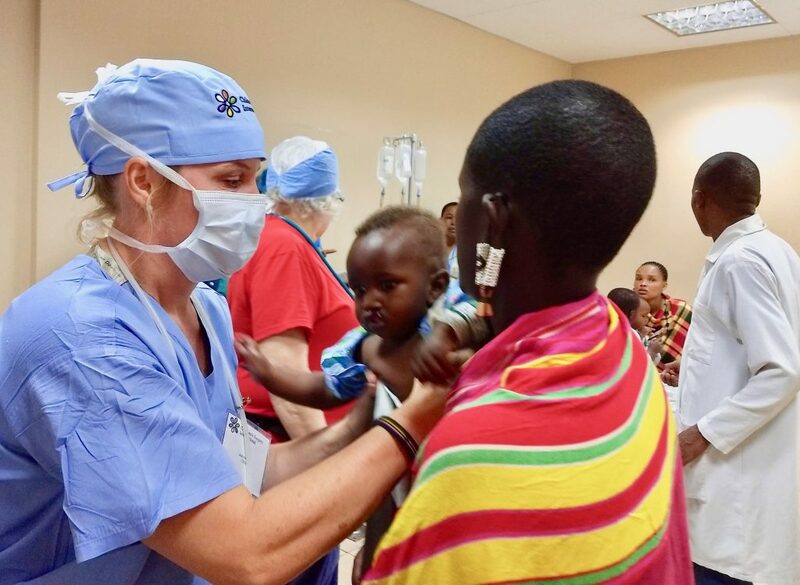 The team screened 48 children on their first day of work at Arusha Lutheran Medical Center (ALMC), and they expect many more will walk in over the course of the week. The morning started with the CSI and Arusha teams working together to make a plan for the week, getting equipment setup and planning procedures for evaluating children for surgeries. Nurse educator Victoria Vandersteen, RN, had a particularly special experience today when she reconnected with young Kristina. Kristina was a patient she and the team worked with last fall during CSI’s first trip to the region. 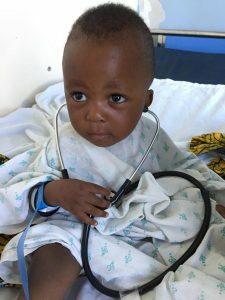 At that time she underwent a rare pediatric urologic surgery performed by Dr. David Vandersteen and the Tanzanian surgical resident. Victoria is so pleased to report that Kristina is feeling bright eyed and whole. 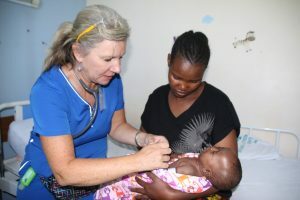 The local health-care team has been able to provide the ongoing care and follow-up that she needs. 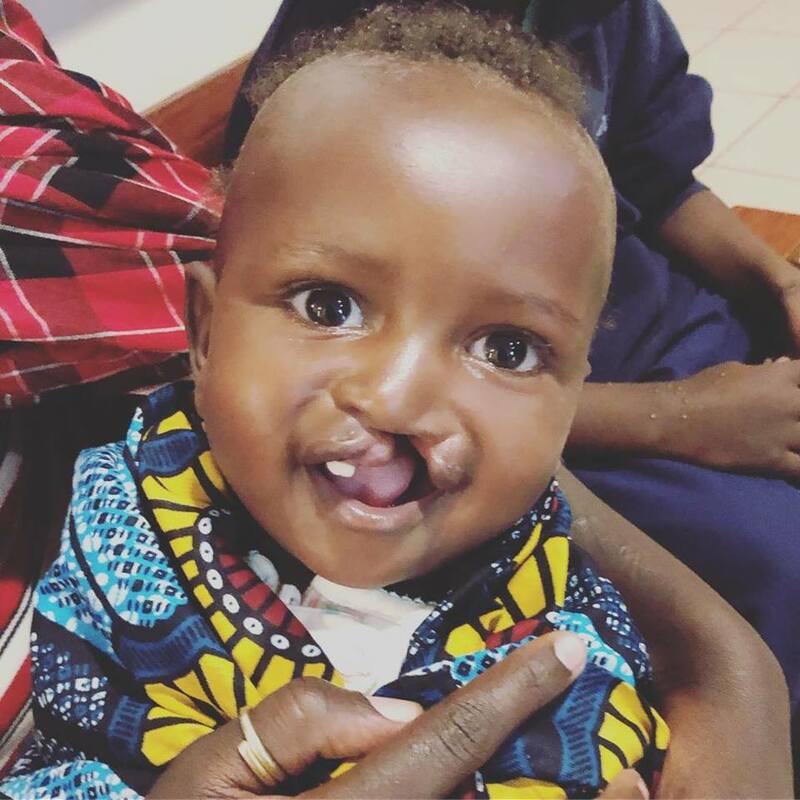 While his is the first mission trip for many on our Tanzania team, others have traveled with Children’s Surgery International multiple times, and they are promising great stories to come! View more photos in our Flickr album. It’s hard to leave. 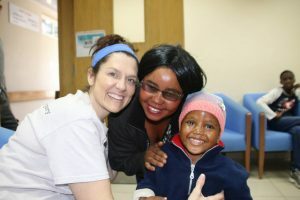 There’s something captivating about the patients we met in Tanzania, and our CSI team will never be the same. 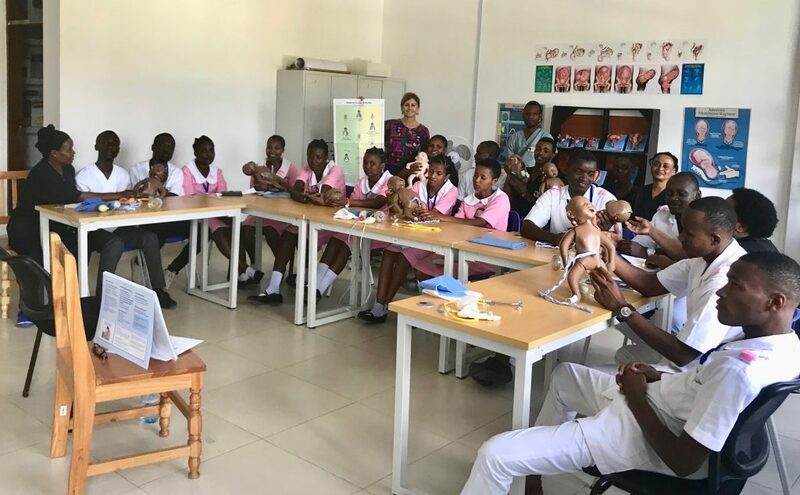 While changing the lives of 37 individual patients is amazing, our biggest impact is definitely teaching the Tanzanian medical and nursing staff. 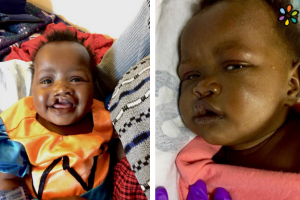 Before and after cleft surgery. 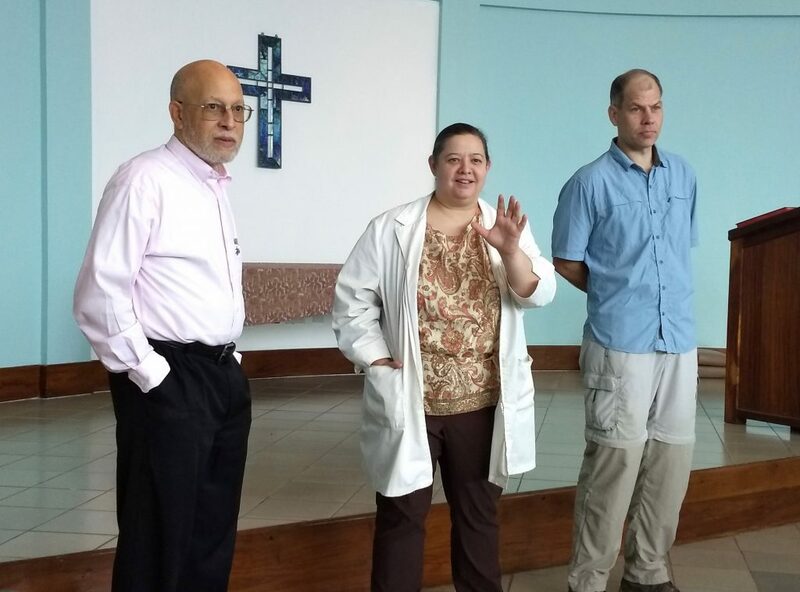 We held lectures facilitated by our three surgeons and taught numerous nursing classes. 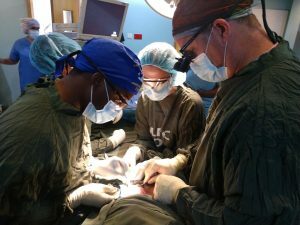 Surgical residents observed and assisted in the OR, prompting one Tanzanian resident to make a decision to become a urologist. 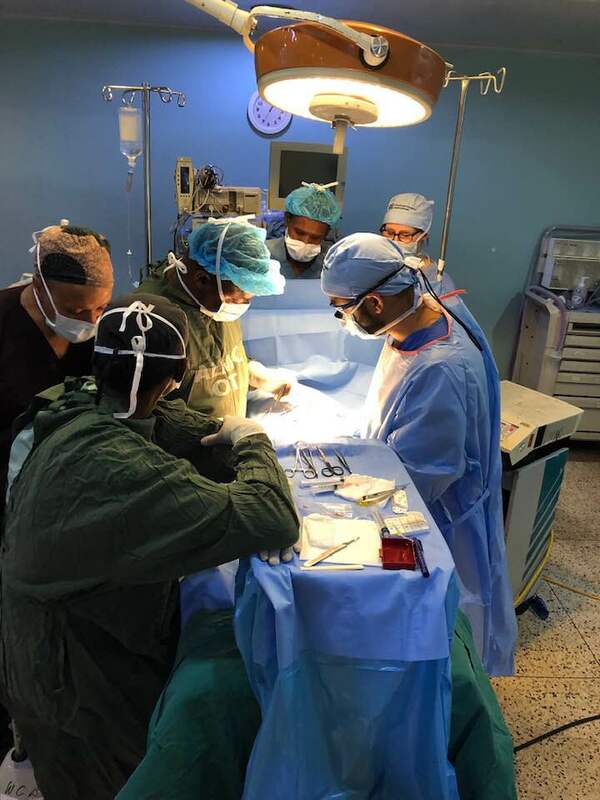 Even when the surgery schedule was completed, Dr. Siva Chinnadurai was still teaching an Arusha Lutheran Medical Center (ALMC) surgical resident. My gratitude is pouring out to the families here at ALMC who entrusted us with their children. Respect for the people of Arusha will forever be with me. We feel an immense sense of satisfaction right now, tinged with a little sadness that it’s time to leave. Now there is a bit more hope. The medical staff has more knowledge and skills than last week. And as one mother said to me, “Karibu Tena” – welcome again. And just like that, we’re done…until next time, Arusha! After months of planning and preparation,we did it. 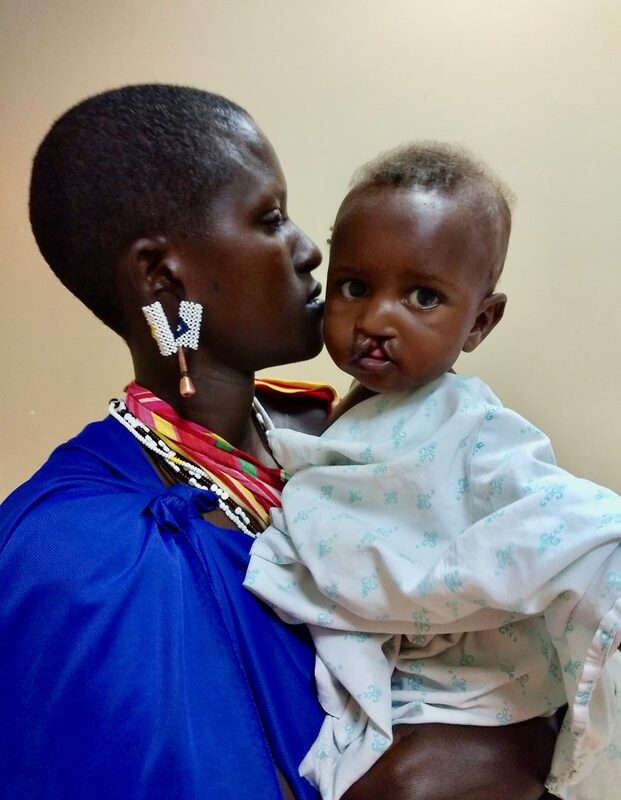 In all, we screened 70 children and completed 37 surgeries and 2 procedures. Our surgeons delivered two lectures, our nurses provided classes daily, and we did hands-on collaboration and training every step of the way. The OR team ended the week with an amazing lunch together. It was a wonderful opportunity to sit and reflect on the week with the staff. And the ALMC team even sang us a farewell song! Today after the surgeries were complete, the team visited the Plaster House. 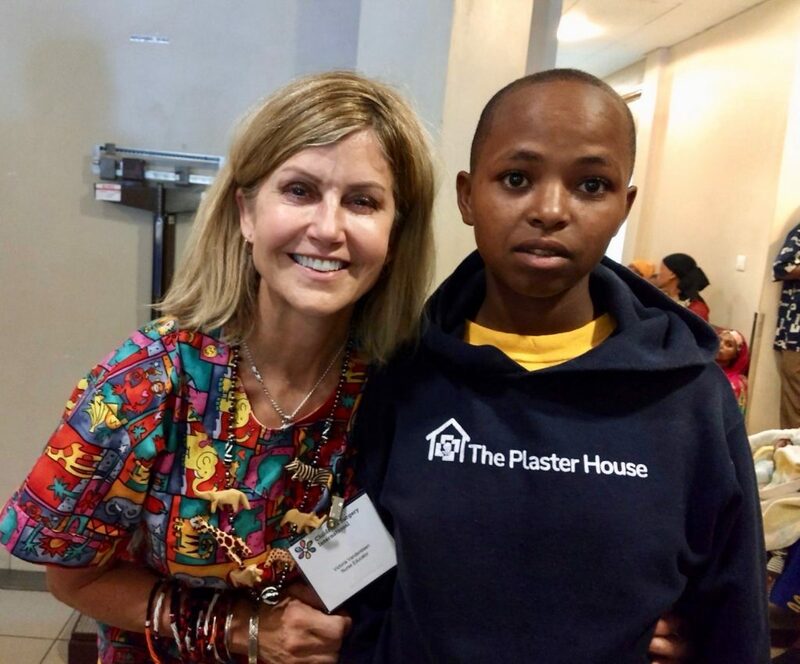 The Plaster House is a home in Arusha that enables children from all over Tanzania to recover after they have had corrective surgery, orthopedic surgery, plastic surgery or neurosurgery for a disability. We loved touring the pretty space and learning how they too are changing lives. Now it’s time to rest and reflect. 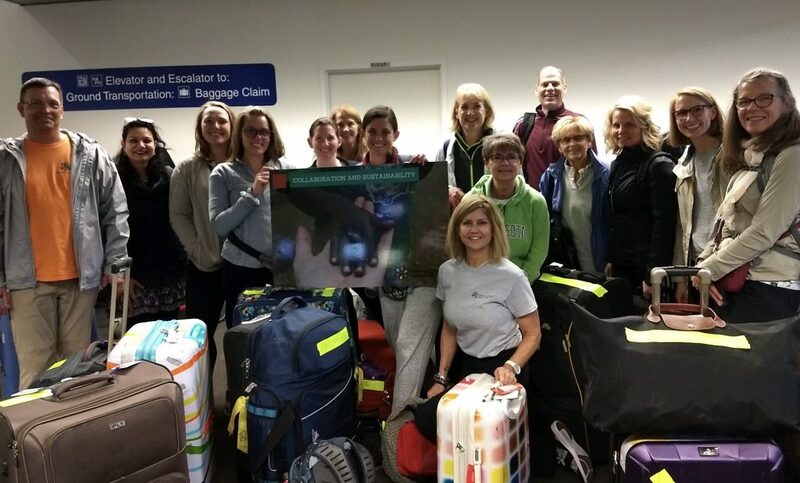 Many team members are heading off for safari and other adventures. Some are coming home to return to our everyday lives. But maybe with just a little different perspective. See more photos from Tanzania here. 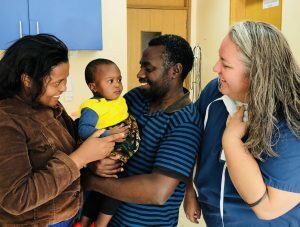 A magical moment unfolded at Arusha Lutheran Medical Center (ALMC) today. With the help of a translator, I was chatting with a patient’s mom. 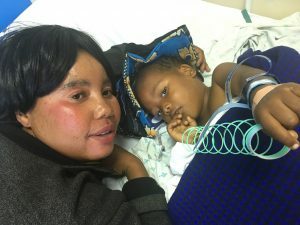 She was anxiously waiting for answers about her daughter’s surgery, when in walked the nurse to share the big news, “Cici’s surgery was a success!” At that moment the English-speaking people broke into spontaneous cheers. No translator was needed to tell the mom the surgery results. Gratitude is the No. 1 feeling making my heart thump a little harder today. Our sincere thanks to the donors who believe in CSI’s vision of partnering with local medical staff to build their capacity to care for their people long after we are gone. Your support fueled our trip and gave us the opportunity to come and make a lasting difference. And then there’s Cici. This precious child won over the hearts of the CSI team with her vibrant personality and remarkable smile. Behind her beautiful eyes is a precious child whose life is now forever changed. Ours too. In the OR we frequently worry about time: How long will a case take? How long until you are ready for the next case? Can we go faster? As we travel around the world teaching our various disciplines, we have the opportunity to learn many lessons. So far, Tanzania has taught us that it is OK to slow down – at the right times. We had a wonderful session with our host, Dr. Jacobson, this week discussing Tanzanian culture. He explained the meaning of the word mzungu. This is what travelers of European descent are called. It also refers to someone who is constantly on the move. I laughed on the inside as I created a picture of all our CSI team members running around like mad men. When I am on a mission, I find myself wanting to fit as many procedures in as possible during our visit. 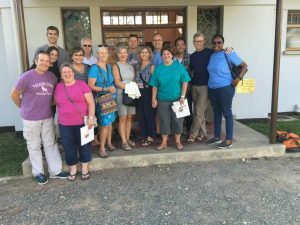 Our Tanzanian partners remind us to take a step back. 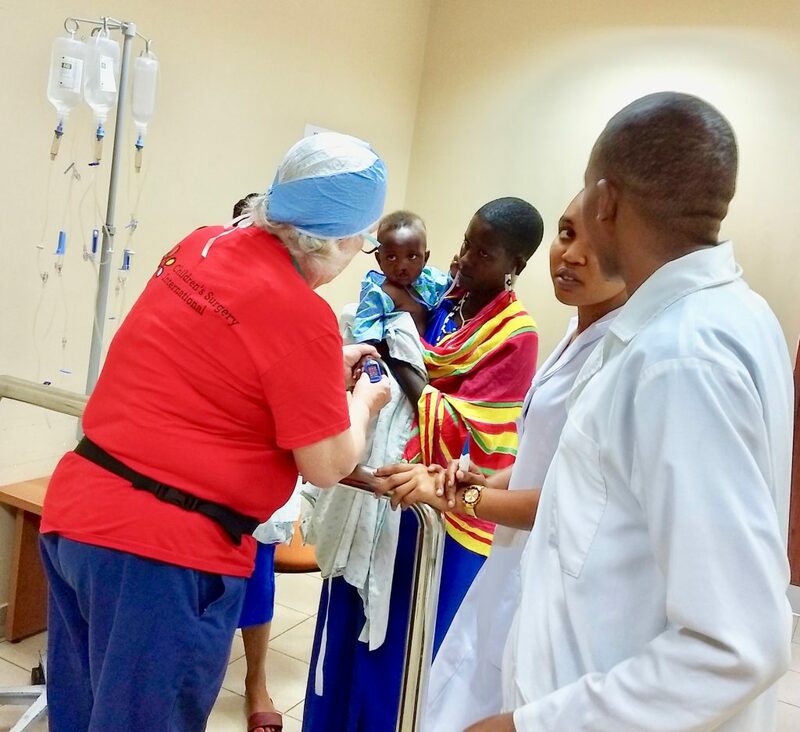 Please do not misunderstand; our CSI team witnessed a team of Tanzanian healthcare workers move expeditiously to jump to the aid of a young child who was seriously ill. 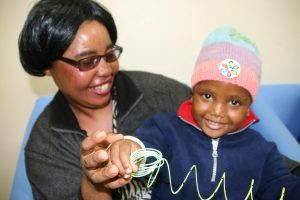 They asked us to assist in this child’s care by providing support. These moments become the ones we cherish most and help to build collaborative bridges. We had the opportunity to watch our Tanzanian partners shine. 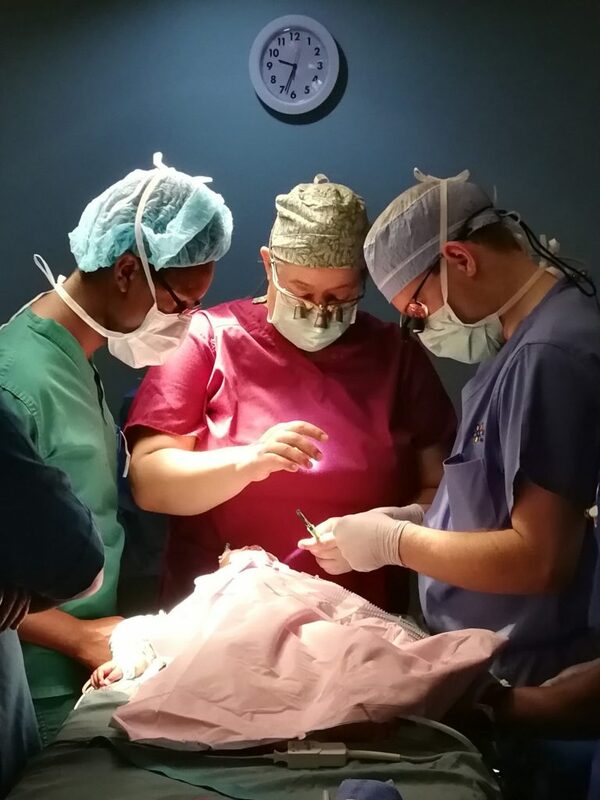 Upon our arrival this morning at Arusha Lutheran Medical Center (ALMC), we walked into an extremely busy OR and quickly realized that our ability to do cases would be delayed. When we first met with our Tanzanian partners, they graciously offered us the use of three operating rooms. This provides us an amazing opportunity. One of the senior medical staff apologized profusely for today’s delay and inconvenience. We assured our partners that caring for those in their community is never an inconvenience. I am happy to report that we had a great day in the OR, completed all scheduled cases, and even added a case. While our time was bumped back today, we accomplished everything we set out to do. 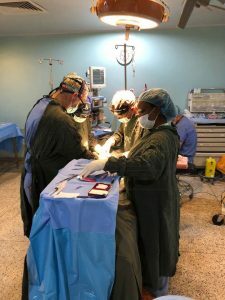 While our departure from the OR may have been later than intended, together with our Tanzanian colleagues we did great things and can fall asleep with a sense of accomplishment. For more trip photos click here. All I need to do is look in the parents’ eyes — that glassy stare says it all. In Swahili they would say, “asante kwa kutuamini,” thank you for trusting us. 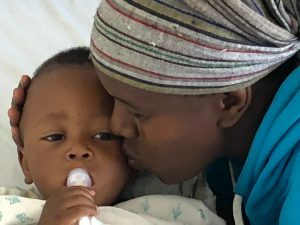 Twenty children had life-changing surgery Monday and Tuesday, and the rest of the week’s schedule is filling up as well. 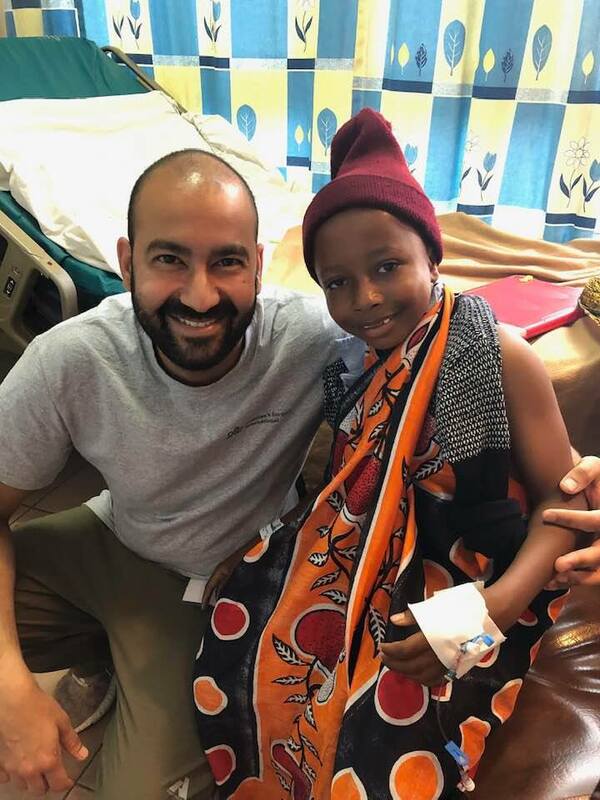 We are proud to provide a level of care that’s standard at home but often inaccessible for people in one of the poorest countries in the world. And we’re here to help change that. We’re most proud to offer the local doctors and nurses training in surgical procedures and follow-up care so they can independently care for their patients. This is what drives us at CSI. 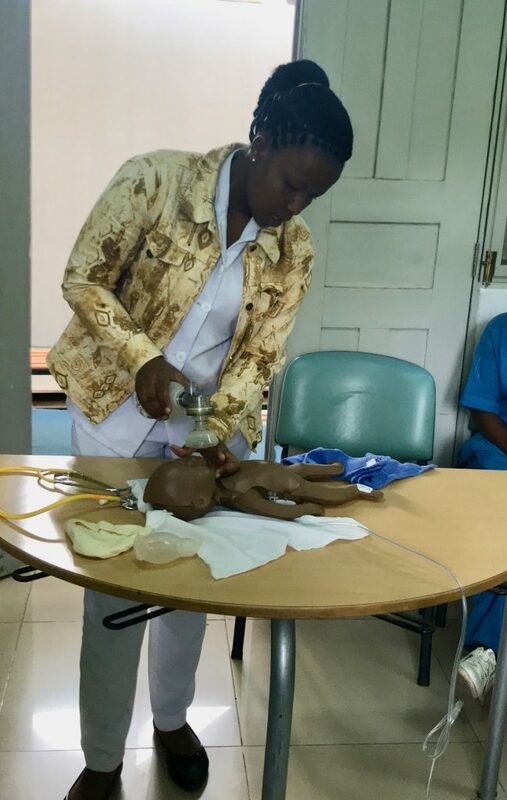 Tanzanian doctors and nurses observed, listened and learned both in and out of the OR. Dr. Siva Chinnadurai, CSI surgeon, spoke to the Arusha medical staff about cleft lip and palate surgery. 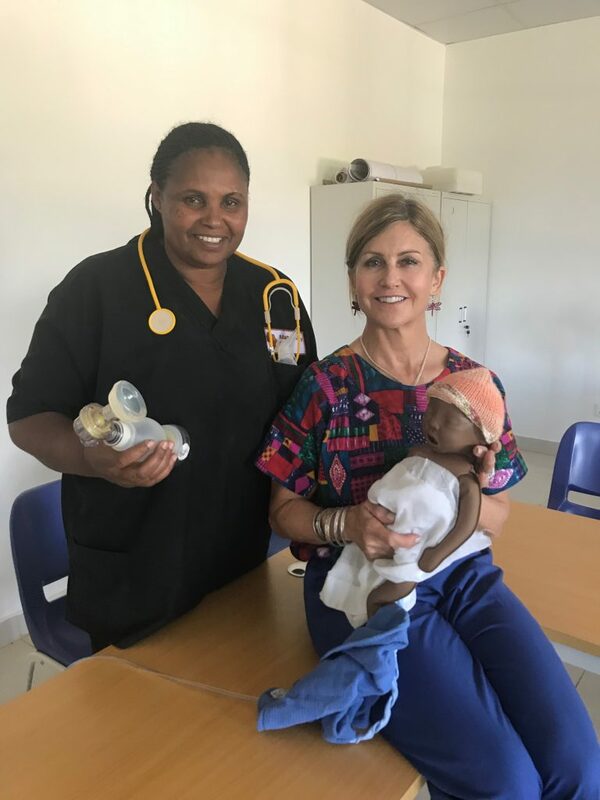 CSI nurse educator Victoria Vandersteen will teach classes to the local nurses using a great resource developed by the World Health Organization and the American Academy of Pediatrics called Helping Babies Breathe. 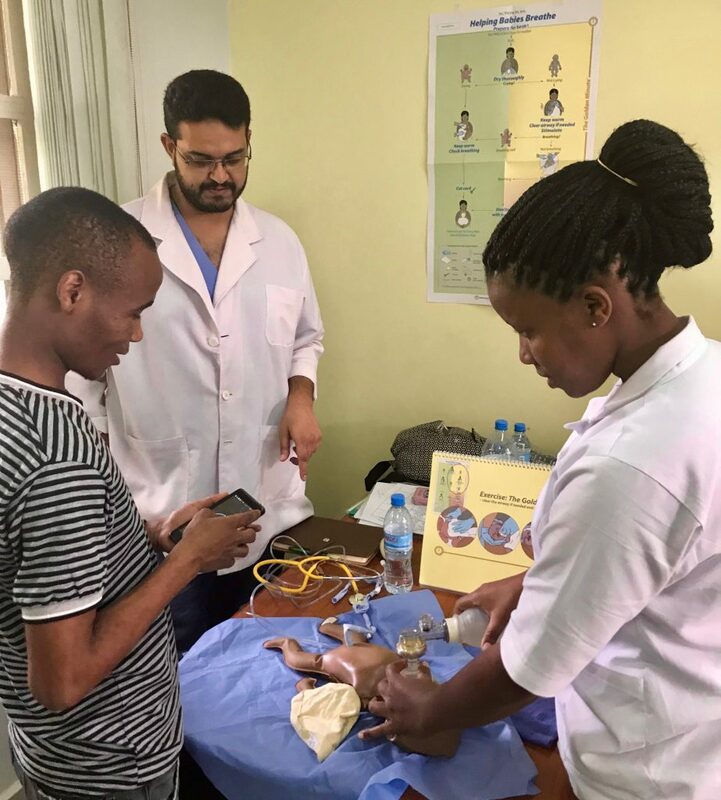 Pediatric urologists will give a Grand Rounds lecture to their Tanzanian colleagues. It’s what we do. It’s what we love. I never hear the CSI volunteers complain after working a 12-hour day without even taking time for lunch. We value every moment teaching and helping; putting our patients’ needs ahead of ours is simply part of our commitment. 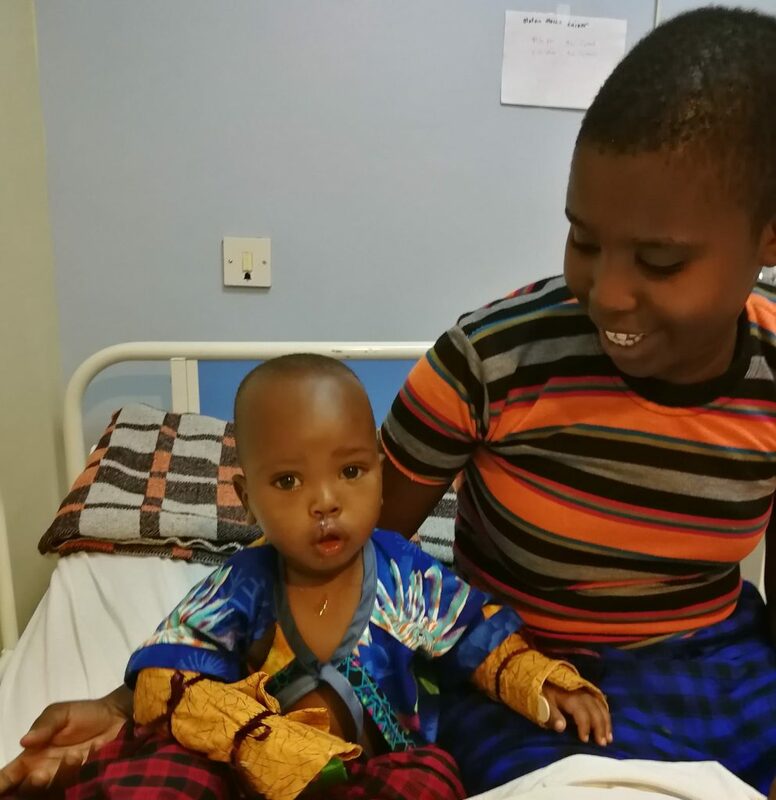 One of our beautiful baby girl patient’s cleft lip was repaired and restored today, as Tanzanian physicians listened and learned. Tears streamed down the mother’s face as she saw her baby after surgery. “Thank you, thank you,” expressed the families numerous times today. 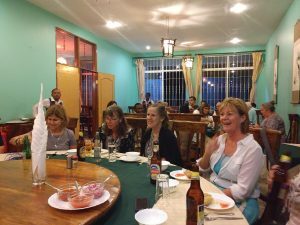 On most CSI trips, especially where teams travel a great distance, we try to build in time to rest and explore the local sights, culture and natural beauty. Tarangire National Park is a close safari location with unimaginable wildlife. Giraffes, elephants, lions (YOWZA! Don’t worry, we’re safe. ), warthogs, ostriches, meerkats, gazelle, buffalo, zebras and wildebeests ran the African savannah in front of our shell-shocked eyes. As a guide drove us over the bumpy terrain lined with walls of thorns and trees, we didn’t know which way to look first. 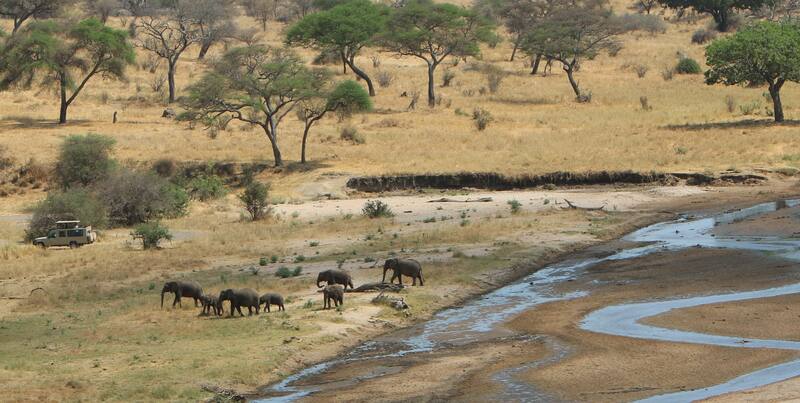 Strong armies of elephants nourished themselves in the river that draws animals here during Africa’s dry season. Clever, lunch-stealing monkeys showed off the infants that clung tightly to their mothers. I was dazzled when a herd of elephants paraded in front of our open-topped vehicle. Juma, our driver and guide, patiently waited as CSI nurse anesthetist John Erlandson snapped magnificent photos, close enough to capture the small details of a large animal. It felt like the elephants were waving hello to us with their enormous ears! I was reduced to a state of childlike wonder when I saw a baby elephant lovingly rubbing cheeks with her mom. Baobabs, the iconic tree known as the Tree of Life, thunder over the vista of the African savannah. They are found only in Tanzania and Madagascar, and sometimes live for 2,000 years. I didn’t know they existed outside of Disney’s Animal Kingdom. Bird houses dangled from this magnificent tree like Christmas ornaments, a novel defense to keep predators away from their eggs. We crossed the plains of burlap-colored grass where termite mounds popped out of the ground like small volcanos. There’s not much shade here, but the little we saw were the resting places for many of Africa’s infamous Big Five (lion, leopard, rhinoceros, elephant and Cape buffalo). The dominant force of the Big Five is the lion. Tanzania is home to about half the lion population in the world. My heart thumped as we saw two of them napping in a giant pile, then two more that sauntered across the never-ending plain. They didn’t seem to care about having spectators. Visitors are not allowed to leave the vehicles, and the animals have become complacent with the daily human activity. For six hours we stared at the animals. As we left, the long wavy grass bid us farewell. Click for more photos from Tanzania. 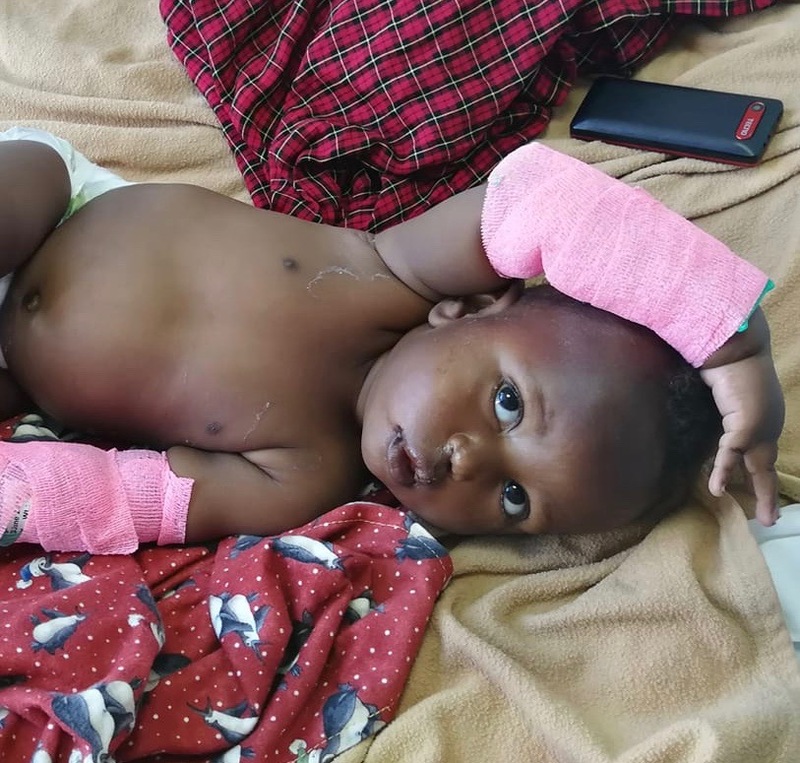 The challenges here in Tanzania at the Arusha Lutheran Medical Center (ALMC) are staggering. There are 50 million people in the country, but only 150 surgeons! The lack of sub-specialty doctors means general surgeons are used for surgical issues head-to-toe. The CSI team is ready to help. Our focus at ALMC is to share our skills and knowledge — not take over their hospital. The team has assured the local staff that we will be sensitive to their culture and respectful of their practices. The CSI team, many with extensive experience on similar trips, have huge hearts and highly specialized training in their fields. They are eager to share their knowledge and experience with the local nurses and doctors. The rhythm and routine of home quickly faded away when the CSI team screened 42 patients for potential surgeries. 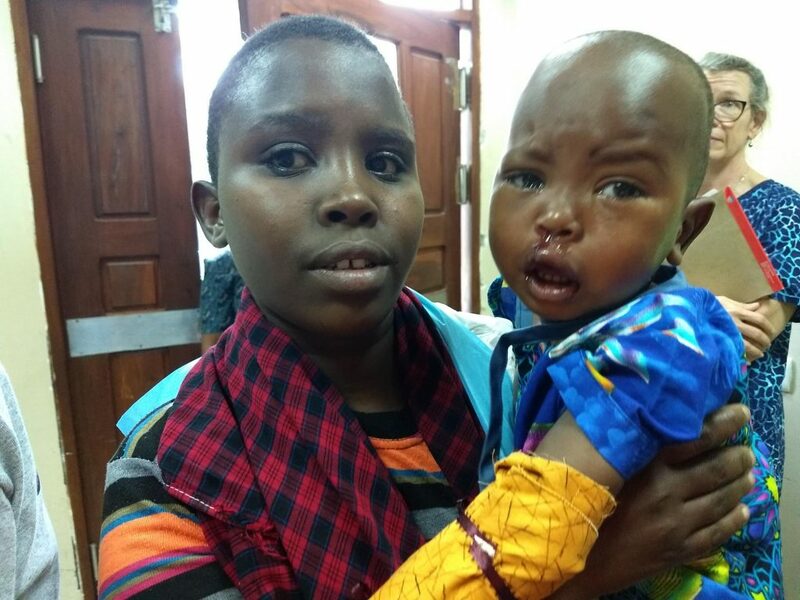 Many more patients will be evaluated and added to the surgery list this week. 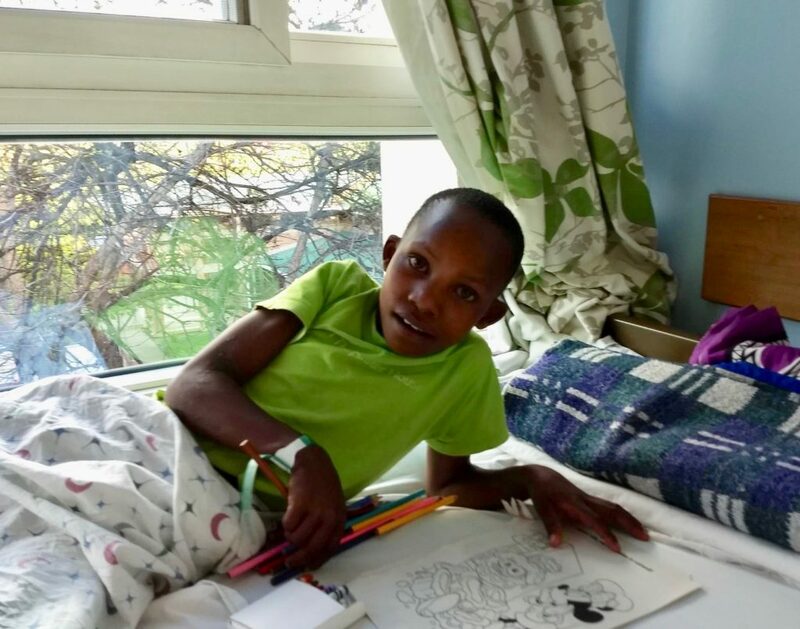 The patients not yet ready for surgery were sent to The Plaster House, a local facility similar to our Ronald McDonald house, to get the necessary support to be healthy for surgery in the future. On screening day, the Tanzanian people flocked to us. Their emotion-rich voices and questioning eyes told the story. I could read the pain and hope in the parents’ eyes. They are the real heroes here. Families in economically deprived countries often have limited access to information and little means to travel. Against all odds they came with their medically fragile children — hoping for help. I entered this experience raw, never before being a provider of care. I am humbled by the gratitude of the local people, and I am proud to be a part of this life-changing nonprofit organization. I am witnessing the transforming effects that CSI makes. My heart feels full, and we’ve only just begun.